If it’s gotta do with social media and marketing, I’m your girl. It’s not a fairy tale - it’s time to get your awesomesauce self on Pinterest, so you can have the world’s favourite visual search engine working for you and making your Google Analytics look fabulous. Did you know: Pinterest is the 3rd most popular social media platform among US adults.1 out of 2 millenials use Pinterest every single month. 30 to 49 year olds are the second most active group on Pinterest and 1 in 4 users are men! Plus, 50% of Pinterest users are from outside the US. Say hello to the unsaturated global frontier! There’s a spot waiting just for you to own your expertise, share it with the world, and build community. What are you waiting for?! 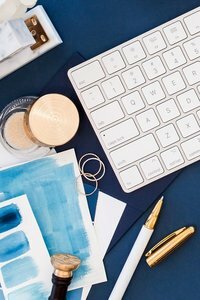 Ready to hop into Pinterest land, but are puzzled at how you’d go about leveraging social media to meet your dreamy audience? 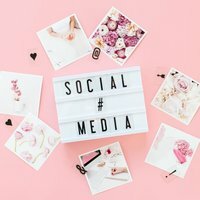 You’re a smart boss lady who knows Pinterest is the place to be for visibility and connecting with people who purchase things they love. You love the idea of sharing your talents, but that means creating content and putting it out there for the world to see. It’s not like you’re out to be insta-famous...you just want to grow your email list and position yourself as an expert in your field. Is that too much to ask?! Imagine being able to launch a new product or service with a built-in community of supporters saving and sharing the content and pins you create.